SILENT POOL GIN IS A CLASSIC GIN AT HEART. Silent Pool Gin is a classic gin at heart, full bodied and fresh with depth, clarity and flavour. 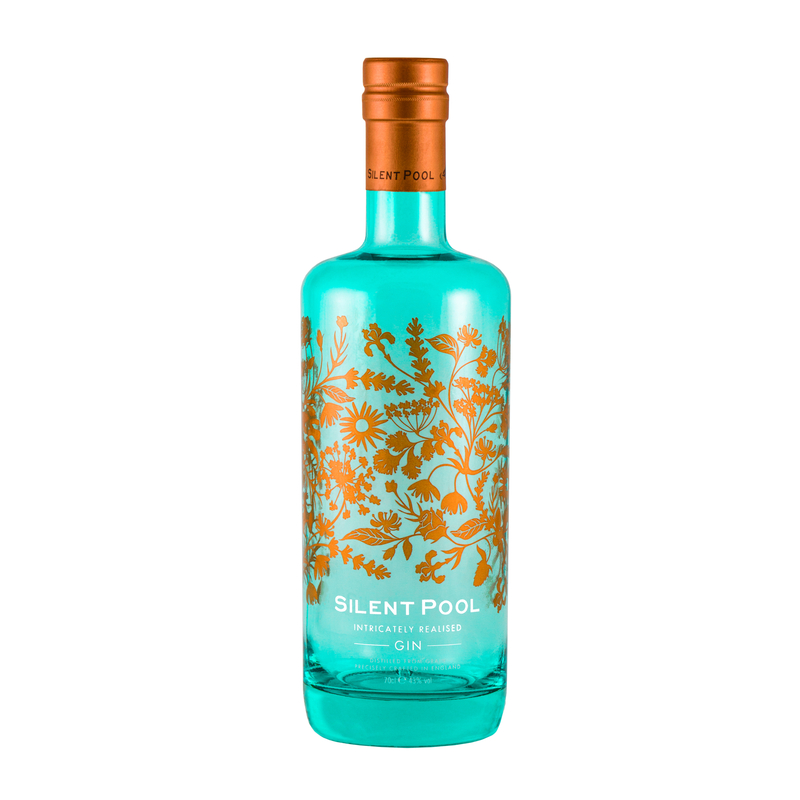 A rich and clean juniper-driven spirit, Silent Pool Gin is produced using 24 botanicals and the cool, clear spring-water from the Silent Pool itself. The delicate flavours of lavender and chamomile combine with fresh citrus notes and a velvety local honey, to create a well-balanced gin that is both traditional and refreshingly individual in nature. Serving suggestion: Recommended serve is with a generous handful of ice, a dash of tonic, and a twist of orange peel to garnish.